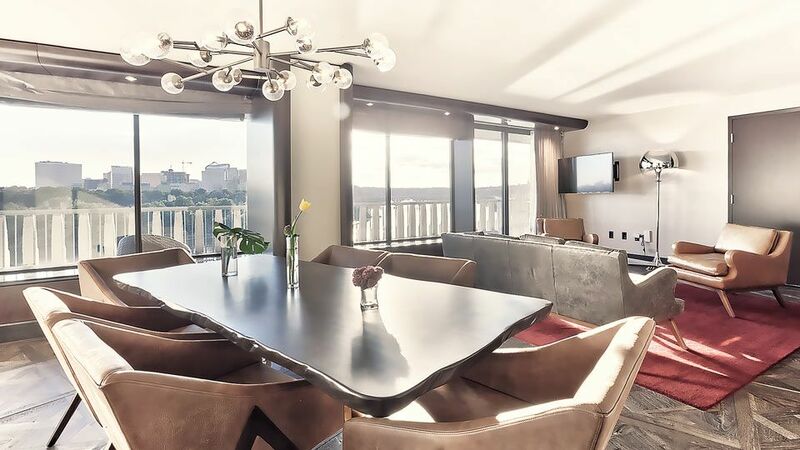 Upgrade to our Ambassador Suite for all the luxury amenities of a spacious Diplomat Suite - kitchenette, dining table, and more - plus a wrap-around balcony with outdoor seating. These French- and Italian-inspired suites are exquisitely finished with dark wood floors and custom designed furniture. The spacious living room features a solid walnut dining table and a separate seating area for relaxing or entertaining. A kitchenette and bar are conveniently adjacent to the living room. Exclusive La Bottega bath amenities complement the floor-to-ceiling marble master bathroom with soaking tub and shower. There is an additional half-bath with shower accessible from the living room. 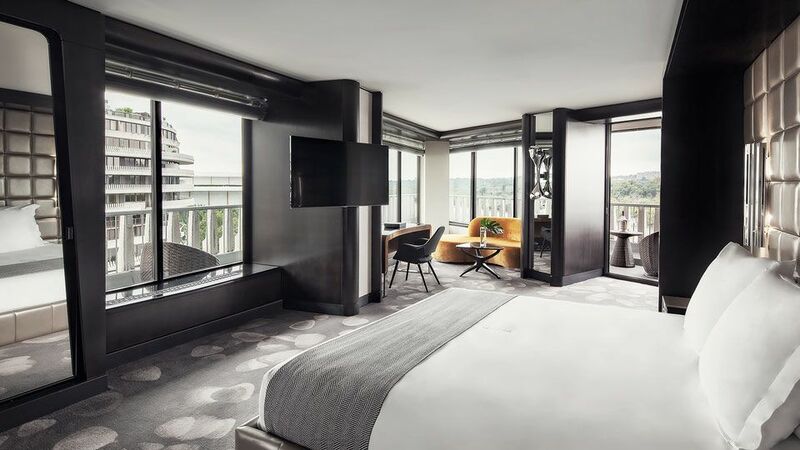 Sweeping views of the Potomac River can be enjoyed from the wrap-around balcony with outdoor seating.